Like the Hip Concert, the stump carvings have disappeared. Again, Wiarton stumbled upon a great idea, and let it go! 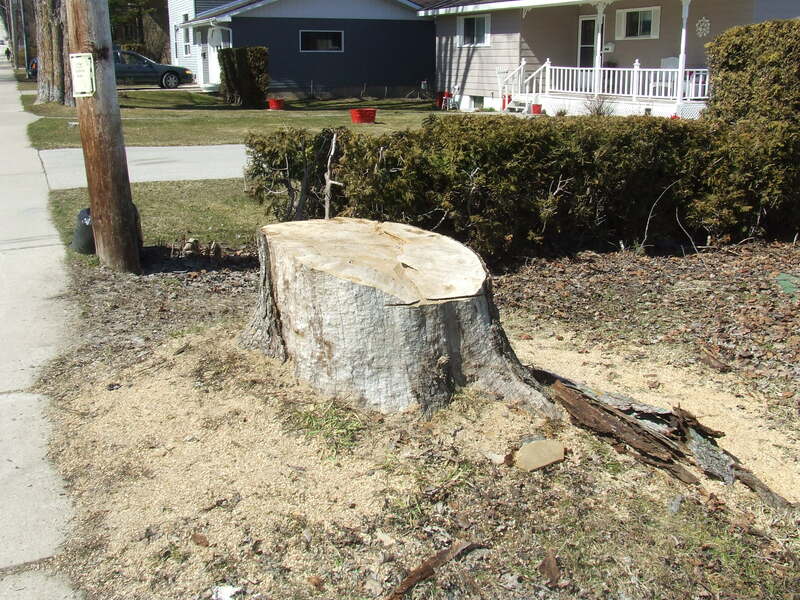 I am told that it cost $1,500 to take down a tree and about $2,200 to remove the stump. I am told it costs $1,300 to carve a trunk after the tree has been cut down. A stump is a stump, art is priceless. This is a tourist town! We depend on the money the tourists spend. unfortunately, we don’t have a reason for the 85,000 cars carrying the 285,000 tourist to the ferry each year to stop, other than Willie or gas and maybe an ice cream cone. 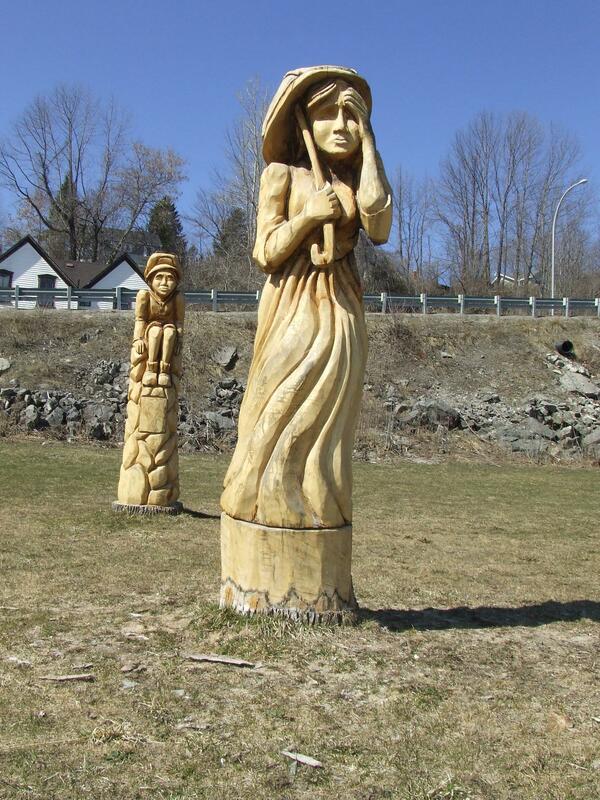 The artist does a great job and I think the carvings add much to our little town. 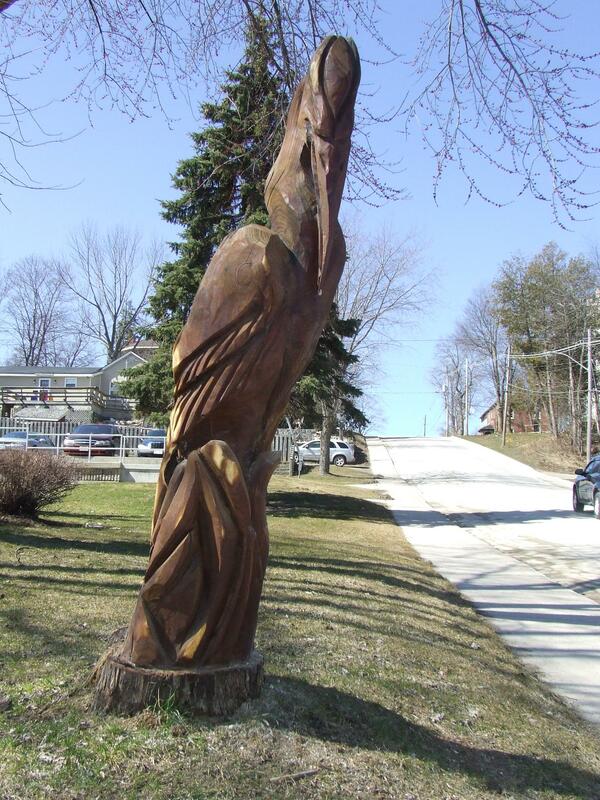 The Town of Orangeville has done 50 or 60 of their tree stumps and turned them into works enjoyed by many. Ted’s Diner over in Meaford has an outstanding display in the front of his place that I enjoy. We have the opportunity to capitalize on a moving market that passes through here every year. If they have a reason so stop and look arround, they will spend money. In this day and age where everyone is chasing the tourist dollars, we have to provide a reason to keep the here. The park and the water front are nice but the more that is offered the more that is gained. I don’t why the carvings have stopped but I think it is a mistake. Not only because of the loss to tourism but because the carvings are positive end for the trees that once stood there. I have taken visitors to Orangeville just to look at their carvings. We wander arround the town and spend an afternoon and a few dollars just enjoying what was created. I think we should carry on carving as it adds so much, saves us few buck and gives the the visitors to our town a nother reason to stay. Last June the Wiarton Airport hosted the Hip Concert. An outstanding display of what good can happen when a few like minds work together. Hat’s off to Dwight Burley, who worked diligently with many long hours to achieve the best event this town has seen in its history in terms of economic activity. Isn’t he the Deputy Mayor of Georgian Bluffs as well as the chair for the Airport Committee? The fact that over 15,000 people attended the concert at $58.00 per, add in accommodation, food, fuel , booze and what ever else they fancied was a boom to our economy. Yes ,the airport lost money, a few of the neighbours were upset, but to have what equates to 3.5 million dollars dumped into your community over a few days is a home run. On the down side you couldn’t buy breakfast in Wiarton on the following morning. The lineup at Timmys was a two hour wait. The OPP in Wiarton made themselves 30 grand bonus doing their job. This event went so well that the Promoter, Big Music moved it to Owen Sound this year! It seems that the OPP, you know that Provincial Force that we pay to Protect and Serve didn’t have the manpower available the weekend the Promoter wanted to hold the event. Gez , at time and a half for each officer assigned life must be good. Gee whiz I guess we don’t need the money up here. We all make enough. Those dam pesky tourists just cut in to our drinking time anyway. They even have the nerve to tye us up at Tim Hortons! We will just eat the looses for all the capital cost spent last year. The new road into the site makes it easier for the deer to walk. It was only 50 some odd thousand anyway. Spent on the anticipation of doing concerts for the next ten years. It is only about 2 dollars per resident lost there. They have lots more where that came from. We stumble upon a winner and fold like a cheap tent! The Business development committee, the Chamber and an economic development officer let this slip through their fingers. Get a grip!!! Wiarton looses a couple of million dollars in its economy, Georgian Bluffs still benefits and Owen Sound makes out like a bandit. But just think we are going to own a beautiful Medical Clinic in Sable by default. Oh yeah and Dwight gets his lien paid off! That will take a couple of million glasses of Kool-aid to pay off. Oh well maybe we will get another concert for next year. I guess pioneers take arrows! Join me as I sing BAAAAAAAAAAAAAAAAAAAAAAAAAAAAAAAAAAAA! The FRO Gestapo!! The Fraud that keeps on taking! It ceases to amaze me that the Provincial Government maintains this bunch of bureaucratic munchkins. The nameless, faceless over paid simple serpants, that hide behind voice mail and walls of indifference. Yes there are some deadbeat dads out there that do fail to meet their obligations, no doubt. But lets think about this for a minute, there are dads that do have changing circumstances. Yes and there are vindictive women out there that strike fear into the hearts of even the most festooned infected men of the world. The power of these Uncivil serpents is unbelievable. They can take a man and put hin in jail for failure to make payments! Take his passport and driver license. This is the kiss of death to some guys. Jail costs us $86,000.00 per year to keep someone, brilliant! Lets punish this deadbeat and put him in jail for six months for failure to pay support. This is really going to work. After he gets fired and has cost us $40,000.00, how is he going to pay. Take his driver’s license and passport, so he can’t get to work, then put him in jail. Brilliant! I know that if I hire a lawyer to go to court for anything its is the better of $5,000.00 per motion. FRO makes motions as a matter of routine. A motion for garnishment, a motion to take the driver’s licence, a motion for the passport, a motion to put him in jail. Generally, to get motion passed takes two or three trips to the Court House. So we do the math at say two appearances per motion $15,000.00 in motions and $40,000 in jail time. Not to mention the Courts time or the prep time. Poor schmuck probably owes $20,000 in arrears. We get the bill and they let him out then do it again. The Simple serpents just follow the rules. Do their job. But who benefits? It certainly is not the taxpayers. Who even thinks about it other than those directly involved. Now I am not saying that every case is the same but I am saying we have to look at this and give it some thought. The taxpayers are stuck with the bill win lose or draw. If we enter into a contract and one of us defaults we go to Court and pay our own freight. There is no such thing as debtors prison in this Province except for the FRO. I am sorry that there are women and children doing without, but that’s why we have welfare and social housing. To spend 30 or 50 grand to chase 20 or 30 doesn’t make sense to me. I know of a case where the wife left for her own reasons, the husband was shell-shocked didn’t contest, was harnessed with $800.00 a month in support. The wife a lawyer, went on to become a judge making $200,000 + moved in with a Chief Crown prosecutor making $200,000+. The old man runs into hard times after ten years of paying brings an application for relief she fights it and $20,000 later in legal fees, she pushes FRO and bang he lands in the slammer for $20,000 in arrears. Guess she taught him! He gets out his credit is trashed, him mental state is in the toilet, he can’t drive or leave the country and he has no job, no assets and no future. Except for another application to put him back in jail he has no way out. Owen Sound is on the move! NOT! Building a new Rec Center in Owen Sound to the tune of $30,000,000.00 or is it 40 or is it 50 where she stops nobody knows. You start with a hole 35 feet deep to stabilize the site and end up with a hole we will be digging ourselves out of for the next 30 or 40 years. This area needs the Rec Center like we need a hole in the head or another hole in our hip pocket. How about fixing the roads, or perhaps building an expanded sewage treatment plant, maybe maintaining the existing parks? Yes the Feds may or may not contribute 30% as may the Province, but guess what it is all borrowed money! It has got to be paid back by you guessed it… us! On a positive note they got no answer yet! Hey beer is forty bucks a case now, gas is a buck a liter. All tax! I’ll bet, I have seen the math on the Medical Center, beer will go to 100 bucks a case and gas to 2 bucks a liter and then maybe after each member of the community throws in another 200 or 300 per year they may make their budget balance. The provision of 300 union jobs, doesn’t exactly excite me as all the jobs at the Bruce Plant are union and it takes 5 people to screw in a light bulb. One holding the bulb and four to turn the ladder. All we really need here is another 12 civil servants to look after the big debt once it is there. In other words the “common good”! Please!!! Way to go Gwen, get the deliberations done and send them a hammer and a pound of salt! I would love to drive a Rolls Royce, but oh gee it has got to be paid for! I suppose we coould do the propoerous thing and spend money we don’t have, buying things we don’t need to impress people we don’t like! But I don’t think so!! So 100 members from South Bruce Peninsula use the Y facilities 20% of which can’t afford it so this justifies spending bet tween 50 and 70 thousand dollars? On top of repaying the money borrowed to build it. That is less than 1% of our population in this community. How about user pay! 50,000 to 70,000 would go a long way to fixing Elm Street in Wiarton. Or maybe the Park, or the Street Scape in Downtown. Hey it could make the payments on the Medical Center for a year. If Owen Sound wants it, they should pay for it. Owen Sound needs many things, a new rec center is not one of them. So here are your tax dollars at work!! Ya think it is time we paid attention! JOIN ME AS I SING BAAAAAAAAAAAAAAAAAAAAAAAAAA!!! There are very few people you meet in your life time that inspire! Michael Schmidt is one who has impressed me! The “John Galt” of the the north! I am proud to introduce to you Michael Schmidt and his story. I do understand politics and I have no illusion about today’s politics when it comes to protecting fundamental liberties. My road to politics was triggered by events connected to basic food rights. Our farm here in Grey County provided essential services to people with ailments. Since 1983 we provided food grown in a certain way, which according to our customer statements helped them to get healthier. With no intention to break the law I developed a contractual arrangement between our farm and our educated customers to provide a service for them, which in return, would entitle them to the same food, we as farmers rightfully consume. The building of a farmer-consumer relationship based on equal trust has been a priority of mine for 32 years. In 1994 our farm was raided by the local Health Unit and was for weeks under surveillance by the Ontario Ministry of Agriculture and Food. Eventually we got charged under the Milk Act and under the Health Protection Act. of our raw milk, as a safe product and also as nutritional important for the health of our customers. Since the appeal board is not an independent body, it was no surprise that we had a negative ruling. The following trial in the Provincial Court, ended with a forced guilty plea for the following reasons:Our farm insurance was cancelled suddenly without proper notification. No insurance company would take us on as a client unless we plead guilty (is that corrupt or do I miss something here? ).We have been harassed for over 6 months with break-inns threatening phone calls and cars sitting at the road continuously watching our farm. I had to realize that the general public did not yet understood the imminent threat to their individual rights and therefore I did not have the support needed to fight these regulations. We had owned 600 acres before the trial , shortly thereafter we had only 100 acres left due to the circumstances of losing the ability to sell our products and pay our mortgages. Our 300 acres farm ended up to be owned by our lawyer who “defended us”. It took us almost 6 years, to get some settlement from the law society for the conflict of interest behavior of this lawyer. We never got this farm back. Originally we had 45 cows and had only 4 left, we had to sell almost everything ,including farm machinery to stay afloat and alive. I was fined 3500, dollars and received a 2 year probation. In 1995 I decided to rebuild our farm and fight for justice. I proposed a joint research project regarding the safety of raw milk to the Government of Ontario and the Milk Marketing Board which controls the entire milk market including its dairy farmers. The research proposal was pushed off the table; that’s when I went public at a press conference with the announcement that I will rebuild our dairy operation. I also pointed out that I will go on a hunger strike if once again police comes and raids our farm. That worked. Government left us alone for 12 years. In these 12 years we managed to serve 200 families on a weekly basis, with their food from our farm based co-operative model. In all theses years we never had any reported outbreaks of illnesses. In 2006, the farm was raided again by 25 armed officers of the Ministry of Natural Resources, Ministry of Finance, Ministry of Agriculture and Food, Canadian Food Inspection Agency and the Local Health Unit. Dairy Equipment was seized, products were confiscated and destroyed at the local dump, computers taken away and many boxes of office files. The farm crew was confined inside the kitchen for seven hours with armed guards on every door, 19 charges were laid again under the Milk Act and under the Health Protection and Promotion Act. We had been under surveillance for nearly a year. We had an undercover agent obtaining milk products for the purpose of testing our milk. Extensive testing took place. No problems were detected but I was charged. Initially I obtained Clayton Ruby, as lawyer to defend us against the charges but had to drop him for financial reasons. I then took over my own defense. Finally in 2009 I had a 6 day trial against a Government legal team of 8. In January 2010 the judge came down with a 40 page ruling acquitting me of all charges. The essence of his ruling affirmed, that we had worked well within the current legal framework. He also ruled on the States limits when it comes to the private realm of contracting. This was a breathtaking ruling by a legally trained Justice of the Peace. The current Government in Ontario simply ridiculed the judge’s ruling and did not accept the lower courts decision. The Ruling is currently under appeal by the Attorney General and the local Health Unit. Over the last 4 years news media polls have suggested a solid majority of 85% an average in support of our position, that people should have a choice and the Government should have no right to tell us what we should or should not eat. 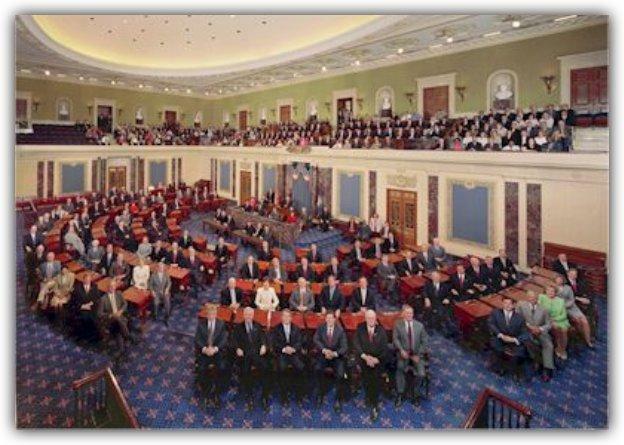 75% of those in favor were simply fed up by too much Government control. I did observe a major shift after the positive ruling in my trial. People suddenly saw hope again that one person’s stand can make a difference. I received hundreds of e mails and phone calls for help. People expressed hope that we can change things around. That simply assured me that there is a need to get involved in the political process. Coming from Germany I do not want to be questioned by my grand children in 25 years from now: Why did you not stand up to this dictatorship when there was still time to do so? Yes that’s what drives me to be part of change, that urges me to get involved. It’s my time to serve for the greater good. The protection of the individual liberty has to be always the guiding light of politics otherwise we will end up with slavery. I say we should support Michael all the way. His fight is our fight! It is not about milk it is about our personal freedom and the the right to choose what we eat, drink and do. It is about personal choice. The right to make a living. It is about Government overstepping their boundaries. Michael is a wolf slayer. He doesn’t sing our Provincial anthem BAAAAAAAAAAAAAAAA! A society of Sheep begets a government of wolves!! So why do you think the Bank said no! Wait a minute what happened to the 410,000?? Cash in the Bank 408,509.00 Where did this come from???? So how did this happen??? 1.1 million carries for about $72,000 per year debt service allowance is 38% of revenue under this year end that means they have $24,000 to pay the $72,000 in payments. Three guesses who wis going to make up the short fall after council consigns on the mortgage! No wonder the Towns Lawyer wanted audited statements! The Redbay Bandits must have sharper pencils! !